Christmas is right around the corner, which means one thing in the business world: stress. 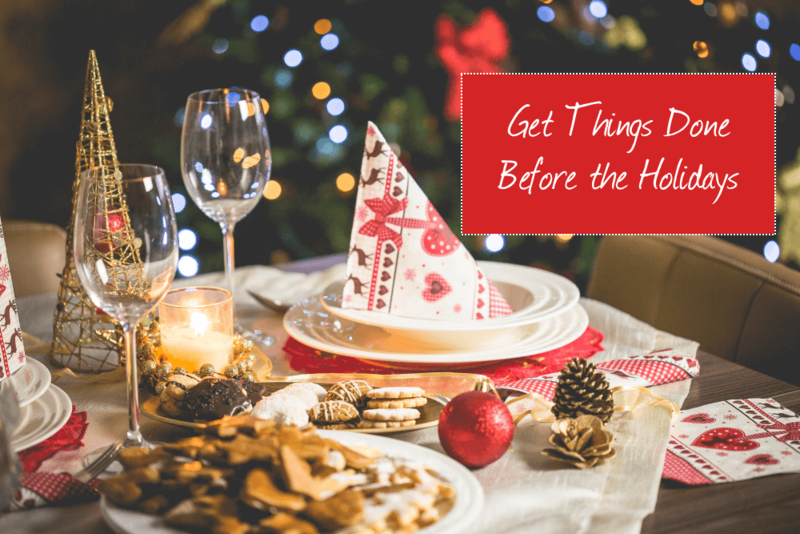 Here are a few tips on how you can get things done before the Holidays – without stress. The first thing you need to do is to be realistic about the workload you can take on. You only have limited time and energy, which you should focus on the most important tasks that can’t be delayed. It’s better to finish a few important tasks, instead of concentrating all your effort on less important ones. Don’t be afraid to say no if you feel that you’re already working to capacity. Remember the rule: Important tasks are rarely urgent and urgent tasks are rarely important. Use methods such as the Pareto principle or the Eisenhower matrix to determine which tasks are important and actually urgent. Focus you time and effort on the 20% of tasks that generate 80% of value, instead of the 80% of tasks that only generate 20% of value. When you have a lot of tasks that you need to finish in a short time, you might be tempted to do everything at the same time. Multitasking gives you the illusion of productivity, but you actually don’t get more done. Multitasking is actually very inefficient, studies have found that constantly switching tasks, i.e. interrupting your work, reduces your attention span and you risk not finishing any of your tasks. Learn to delegate tasks that you don’t necessarily have to do yourself. Concentrate your energy on the tasks that only you can do and delegate the ones which others can do just as well. Effective delegation involves a clear communication of goals and deadlines. Make sure that the person you give the task knows exactly what is expected of them and what their responsibilities are. The most important thing about getting things done before the Holidays: Do not stress about it. Keep in mind that it’s not the end of the world if you don’t complete every task on your to-do list. The best way to work productively is not to let the stress get the best of you. Enjoy the Holiday season instead, go ice skating, buy a tree, get your decoration out and go shopping for presents. Having something you can look forward to will make finishing your tasks much more fun. If you need a little inspiration, here’s a playlist to help you get into the Holiday mood: The Christmas Playlist 2016 by Filtr. How to Get Things Done Before the Holidays Without Stress - InLoox • Copyright 1999-2019 © InLoox, Inc. All rights reserved.